Growing up in Switzerland, Thomas always had a passion for aircraft and for serving God. These two came together when in 2002 he commenced the Mission Aviation Course (Engineering) at the Bible College of Victoria. Clare grew up in Australia and having an enthusiasm for working with young children, spent time as an AuPair in the USA, and later completed a Diploma of Children’s Services. 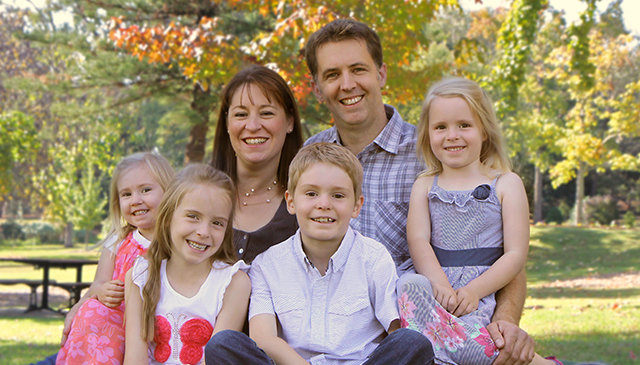 In 2002 she came to the Bible College of Victoria to study, and subsequently met Thomas. They married in 2004 and were blessed with four children, Joshua (2007), Eleanor (2009), Caitlyn (2011) and Matayah (2013). Mission Aviation was always close to their hearts, and through a variety of interesting circumstances, the Lord placed it on their hearts in early 2016 that NOW was the time to join MAF. Their desire is to seek first the kingdom of God, trusting that He will lead them as they become part of a new community, form new relationships, and are used by God for His purposes.